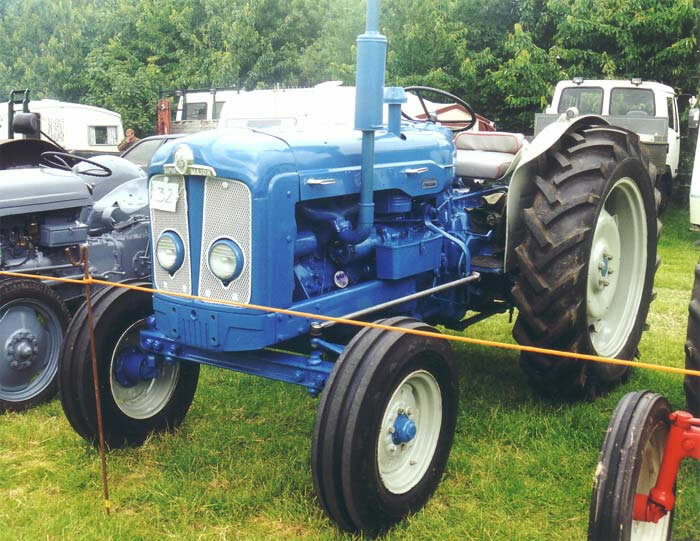 The Fordson Super Major Tractor replaced the Power Major in 1960, it was to be the last major upgrade of the E1A range. The most significant improvement over previous models was the introduction of Qualitrol, position control and flow control hydraulic system. Other changes were: Engine power increased to 53.7 h.p., disc brakes, differential lock. In 1962 the former blue and orange livery was replaced by a new colour scheme of mainly blue with white grill, mudguards and wheels.